Explore the vast and open city filled with humorous LEGO characters any way you want. You can commandeer any one of over 100 different vehicles on the street or fly a helicopter through the air on your missions. Assume the identity of Chase McCain, an undercover officer armed with clever disguises each with their own special abilities and try to put a stop to the fiendish Rex Fury and end his crime wave in LEGO City. In the end, Undercover is just a fun relaxing game that doesn't take itself seriously. It has solid mechanics, dozens of hours of gameplay, great graphics, and a lively city to play around in. The characters are memorable, and while there's not much of a challenge, it's just fun and full of solid gameplay. It's consistently fun and surprising, offering the freedom of a great open-world game without all the guilt. It isn’t perfect, but I can’t think of another Wii U game that I’d recommend more than Lego City Undercover. It’s the most interesting and highly polished game in TT Games’ large repertoire, and it fills an important game gap. Now kids (and their parents) can tool around in a big town where people smile even as you almost run them over in an ice-cream truck. LEGO City Undercover was definitely worth the wait even with the extensive load times that are the only disappointing feature of this game. 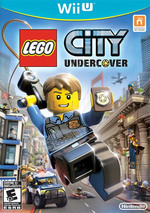 Everything from the tried and true LEGO gameplay sprinkled with some great new additions, a comedic script, and an entertaining storyline provides a gaming experience suitable for all ages which, in my eyes, makes LEGO City Undercover a must buy for fans of the LEGO franchise and Wii U owners alike. Lego City: Undercover effectively conveys the breadth of the toy company's urban product line with a well-conceived city that you could imagine rebuilding with real life Legos. Even better, Traveller's Tales' knack for witty and well paced storytelling shows that Chase McCain deserves more crime to fight in potential new releases. In the meantime, he ought to find a playable sidekick and a SWAT van to mow down these loading times. Chase's line readings are beautifully, achingly sincere, and an Arnold Schwarzenegger soundalike sounds more like Arnie than Arnie ever did. There are bigger, more complex, more beautiful open-world games on the market. But none of them are this good at making you feel so young at heart. 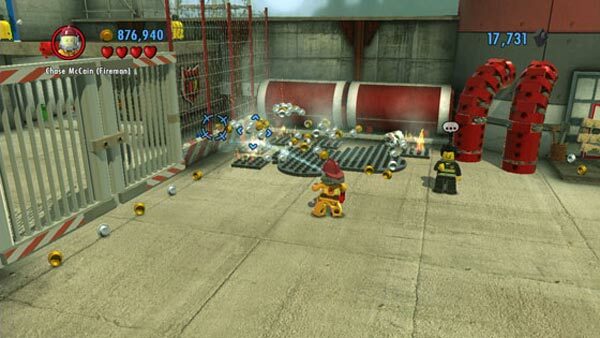 Simply put, LEGO City Undercover is a blast to play. 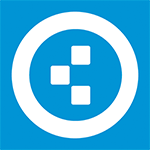 It's funny, challenging, and features tons of extra content that'll keep you busy for hours. Sure, it's got a few minor quibbles here and there but it's hard to dwell on them when everything else is so enjoyable. Regardless of how old you are, if you're a fan of LEGO or are looking for something light-hearted to play, grab LEGO City Undercover and you'll be sure to smile. It's also why Lego City Undercover, while disappointing in some respects, is far from a total disappointment. Yes, the campaign is unexciting compared to the delights outside of it, but there's great promise too. It feels like developer TT Fusion is, quite appropriately, building towards something more with Undercover, something that really shows Lego games can stand on their own two leg blocks. It just isn't there yet. Children deserve massive, explorable worlds just as much as adults. It’s wonderful that TT Fusion took that concept and made a fully functioning and largely non-violent world without sacrificing action. 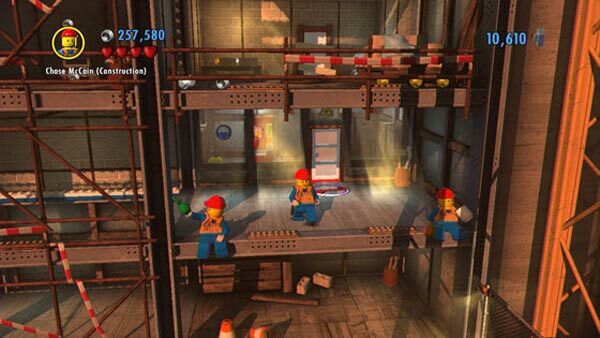 You won’t miss firing guns or swinging lightsabers in Lego City — not when you’re scouring the landscape for super builds and smashing everything in sight. Undercover’s story is an incredibly entertaining homage to countless movies and television shows, and manages to feature a very strong cast of characters – no small feat considering the game has no major license associated with it. Of course, rampant loading times, no co-op and a variety of other problems (loading times, routine gameplay) hold Undercover back from truly taking the next step for the larger LEGO franchise. There are technical cracks in its brickwork, but in combining the familiar constructs of the LEGO video games with an original story, huge amounts of humour and a ridiculous number of things to collect or discover, LEGO City Undercover proves that LEGO titles can be blockbusters without a big licence. Maintaining interest and consistency over the course of a massive, sprawling game like Lego City Undercover would be a challenge no matter what the target audience was. Considering it has to avoid the salacious scenes and hyper-violence used to spice its genre brethren, Lego City Undercover is pretty darned impressive. Players can't expect anything vastly different from the norm—it's still a family-friendly action game full of puzzles and collectable items, and most gamers are unlikely to be strongly challenged by anything the game throws their way. That's all right, though, because it's all about having fun in a giant LEGO playground unlike any we've seen a game so far. The Chase is on, and he'll be taking you for a great ride. For all its faults, charming is absolutely the word best describing LEGO City Undercover. 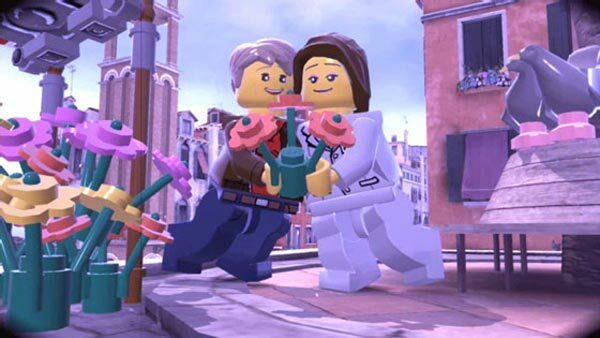 While more could have been done to exploit the sandbox scenario, and while it sticks a bit too nervously to formula than it could have, Undercover is nonetheless a frequently pleasurable, occasionally hilarious little romp in a new LEGO world full of potential. If smashing plastic people to bits counts as non-violent, then it's like a non-violent Grand Theft Auto, with added platforming chucked in. It's filled with charm and humour, and seemingly made with a lot of love. LEGO City Undercover is certainly a game worth getting regardless of if you go for the Wii U version or the upcoming port. While it is hard to say what exactly that multi-platform port will be like, it seems fairly certain the Nintendo references will be edited out (maybe even in the Switch version). If fans value Nintendo references and aren't worried about co-op multiplayer, the Wii U iteration might even be a better, cheaper purchase that gamers don't have to wait for. Lego City Undercover isn't ceaselessly brilliant - open-world games seldom are - but it's a fantastic example of what makes Traveller's Tales and TT Fusion such special developers, and the worst I can say is that it's occasionally only fun. And you know what? I'll take that wherever I can find it. Lego City Undercover: The Chase Begins has a large open sandbox, but one that feels like the best bits have been stripped out of it. I would personally just return to the Wii U game, and for those that loved that as much as I do, this will be a disappointing addition to that. 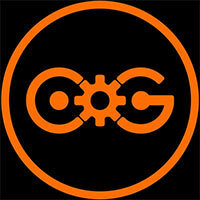 If you're a fan, then fine: but why settle for an average gaming experience? 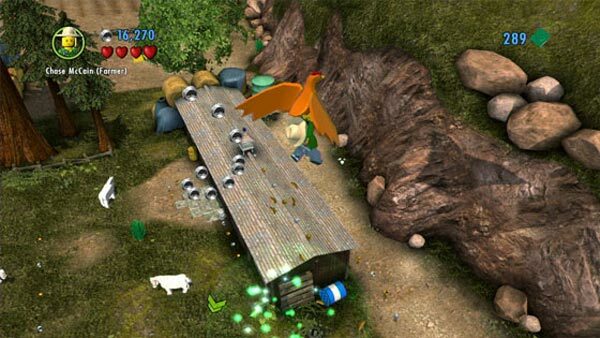 ...gem-packed open world LEGO game, the likes of which we've never seen before, but have always wanted. Its humour may be slightly weak and unlocks spread far and wide, but LEGO City Undercover is a thoroughly enjoyable and refreshingly innocent open-world game. It contains more than enough hooks to keep you engaged and has the right level of silliness to gloss over the realisation that its open world is really just a massive mission hub. Todo manteniendo el humor clásico de la serie, un diseño visual colorido e introduciendo un correcto aprovechamiento del GamePad. La ausencia de una vertiente cooperativa, ciertos problemas técnicos relacionados con tiempos de carga o la escasez de dificultad son aspectos mejorables, pero que sin embargo no lastran la más completa y divertida experiencia Lego que hemos tenido hasta la fecha. Lo que LEGO City Undercover ofrece es un sandbox con estilo propio, un título que no es sin más un clon de Grand Theft Auto y que aporta una más que razonable cantidad de horas de juego como para justificar su compra si sigues de cerca el género. En general Lego City Undercover es un juego fácil de recomendar pero que no tiene un público demasiado obvio: es ideal para niños pero también para todos aquellos que disfruten del humor de películas como Agárralo como puedas o series como Bob Esponja. También es perfecto para jugarlo en compañía. Ich sage immer wieder, dass Spiele für Kinder nicht weniger komplex sein sollten, als es Spiele für Erwachsene sind. Sie sollten nur auf den roten Anstrich verzichten. Lego City Undercover gelingt nicht nur das, es lässt sehr viele erwachsene Spielewelten im Vergleich traurig wirken. Es ist dabei jedoch nicht "nur" das perfekte Spiel für Kinder, auch sonst verliert rote Farbe hier klar gegen Spielwitz und Humor. Es müssen schon die großen Hausnummern im Open World herhalten, um gegen Lego City bestehen zu können. Sowohl die Puzzles als auch die Kämpfe sind bis auf zu wenige Ausnahmen viel zu leicht. Schade ist auch, dass es keinen Koop-Modus gibt und das Wii U-GamePad zu selten sinnvoll genutzt wird. Dank der ansehnlichen Kulisse, die allerdings ab und an mit für offene Welten typischen Problemen wie Pop-ups kämpft sowie des unwiderstehlichen Charmes der Bauklotz-Metropole habe ich dennoch jede Minute in Lego City genossen. Bien sûr, on aurait aimé un challenge plus corsé, un meilleur travail sur le pilotage des véhicules, une réalisation plus solide et convaincante... Mais entre son aventure principale parfaitement huilée et son fabuleux bac à sable d'une richesse insoupçonnable, LEGO City Undercover réussit à trouver un étonnant équilibre qui promet des heures et des heures de fun, tout simplement. 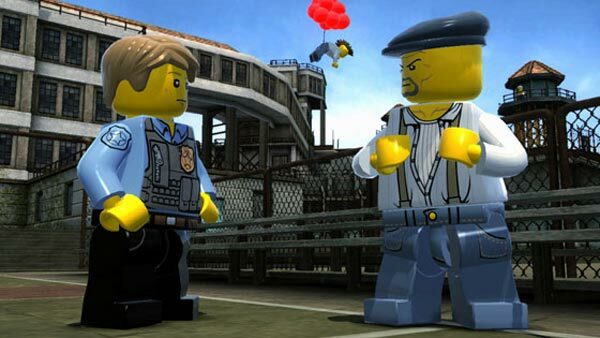 Para concluir, LEGO City: Undercover é o melhor jogo LEGO de sempre. A TT Fusion criou um "sandbox" encantador, com uma boa história, humor muito próprio, e conteúdo suficiente para horas de vício. Não é um jogo perfeito, nomeadamente em algumas questões técnicas, mas usa as potencialidades do GamePad como ninguém. Sem dúvida, um excelente título para o carente catálogo da Wii U. A Wii U necessita de mais jogos como Lego City Undercover. Está longe de revolucionar ou de ser lembrado como um clássico, mas é garantido que dará horas de diversão a quem lhe der uma oportunidade. Não restam dúvidas que este é um título mais apropriado para o público infantil, sobretudo a nível de enredo, mas é tão facilmente recomendável para adultos, porque às vezes é preciso jogar títulos destes para relembrarmos que fomos crianças e que ainda existe uma escondida dentro de nós. L’integrazione tra mattoncini LEGO e meccaniche GTA edifica un mondo di fantasia, simpatia e buon umore per tutti, grandi e piccini. LEGO City è un’intera città free roaming che esaudisce i nostri sogni di bambino: semplificata ma solida, non crolla sotto i colpi di qualche immaturità tecnica e di design proprio perché costruita per giocare, senza mai prendersi troppo sul serio. LEGO City is een onvergetelijke stad waar je je tientallen uren in kunt verliezen. Als je nog een reden nodig had om een Wii U aan te schaffen, dan is LEGO City Undercover een van de grootste redenen die je je kunt wensen.